Digital encryption remains a vital necessity for enterprise companies that collect, handle, and store sensitive information in the cloud. Here’s why. It bears repeating in the latter half of 2018: Digital encryption is a necessity. Data breaches and exposures are not going away anytime soon, and that means enterprise organizations must be prepared. Breaches, and data privacy in general, have become huge talking points this year thanks to enormous news events such as the Cambridge Analytica scandal, which involved the unscrupulous sale of personal information, and the Exactis data aggregation firm that left 340 million records unprotected on a publicly accessible server—way more than last year’s huge Equifax breach. According to the Ponemon Institute, the average cost of a data breach in 2018—factoring in technical investigations, notification and recovery costs, legal and regulatory fees, and reputational loss—is nearly $4 million USD, about a 6 percent increase from the firm’s 2017 report. A “mega breach”, which could range from 1 million to 50 million records exposed, is projected to cost companies between $40 million and $350 million USD. 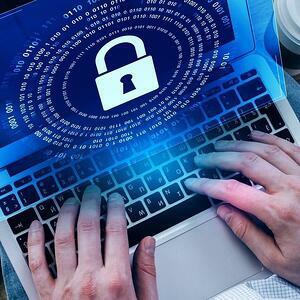 Digital encryption, which jumbles up information so that it is completely unreadable, can aid in containing a data breach and speed up notification and recovery time. Regulations such as the General Data Protection Regulation (GDPR) in Europe and New York State Cybersecurity Regulation (the 23 NYCRR 500) both require organizations to encrypt data to protect client, customer, and employee data at the risk of steep financial penalties. Though both regulations appear region-specific, they’re actually global-reaching rules that dictate data collecting companies around the world must protect and safeguard information via digital encryption. Not only that, nearly every major alphabet regulation, from HIPAA to GLBA requires digital encryption to reach compliance. The cloud is the future. In fact, 96 percent of respondents use the cloud in the RightScale 2018 State of Cloud Survey. That means most businesses and organizations are turning to public and private cloud storage services to house data. To protect that sensitive information, companies need to use digital encryption or risk the exposure of financial documents and other personal information. Encrypting sensitive files prevents malicious actors from ever accessing them. The only way to read those files would be with an encryption key, which companies can share with trusted partners or keep to themselves. Encryption solutions such as eperi Gateway grant you full control over how you handle encryption keys. In one of the year’s largest breaches, 100,000 university professors were tricked by sophisticated spearfishing attacks that tricked them into clicking malicious links, thus compromising their login credentials. The hackers got away with 31 terabytes of data and an estimated $3 billion worth of intellectual property. Unfortunately, not everyone can be trained to identify increasingly refined malware and phishing scams, especially as they get more sophisticated. To alleviate that fact, digital encryption should be used as a kind of failsafe to protect any personal or organizational data that does get out, so even if hackers get their way, they can’t do anything with their stolen goods. As mentioned, eperi Gateway is an encryption solution. It can bypass regulation requirements, mitigate the effects of a data breach, and make the move to the cloud easier for companies thanks to out-of-the-box templates and customizable profiles. For any inquiries about how eperi can help your company and its digital encryption needs, please contact us.